Named after the first Executive Director's mother, Cori. 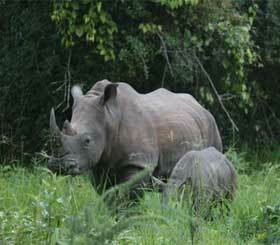 Kori was captured in the wild in Kenya at approximately 5 years old. She then moved to the sanctuary in July 2005. 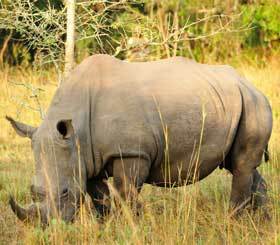 She is a very beautiful rhino but can be unpredictable. 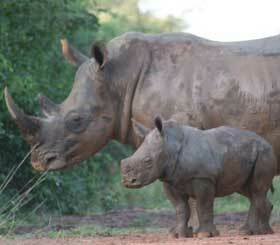 Kori is very protective of her young and will fiercely fight any male rhino that poses a threat to her baby. Sadly her oldest calf, Justice, died at 5 years old from injuries inflicted during a fight. Do you want to adopt Kori, or do you know someone who would love to? Click here for more information!